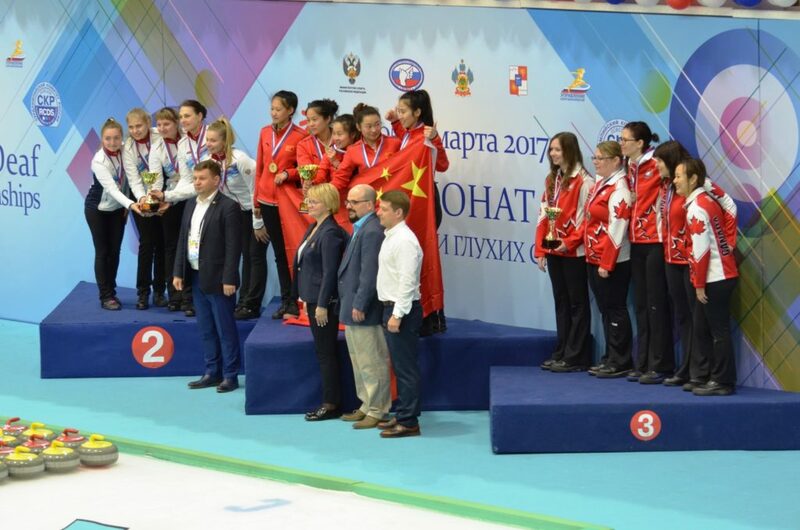 Deaf Centre Manitoba Inc.: Update from World Deaf Curling Championship at Sochi Russia!! 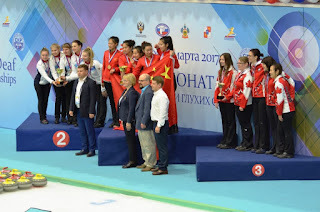 Update from World Deaf Curling Championship at Sochi Russia!! Canada Deaf Sport Association (CDSA) had posted the update about Canada Curling Team who played at Sochi, Russia. Canada Men Team won gold! Canada Women won third place for bronze medal. Congratulation to Canada Team!!! Please wave hands for them!! Winnipeg players (Ross LaValle, John Gessner, Shawn Demianyk, Kaylee Miller) will land at Winnipeg Airport tonight at 11:18 pm by Flight KLM Royal Dutch Airlines KL 9824 from Edmonton, Alberta. If you want to cheer the team at the airport, you are welcome to attend there and cheer them! !